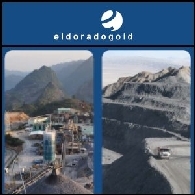 Eldorado Gold Corp is a gold exploration, development, mining and production company. 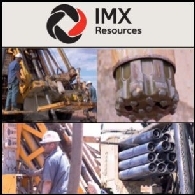 It owns and operates gold, iron ore and silver-lead-zinc mines. 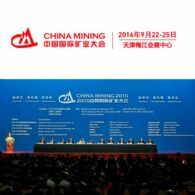 With the theme of "From Novel Concepts, To Innovative Solutions", CHINA MINING Congress & Expo 2016 will be held at Meijiang Convention and Exhibition Center in Tianjin on September 22nd -25th, 2016. The event hosted by the Ministry of Land & Resources, the Tianjin Municipal Government and China Mining Association. 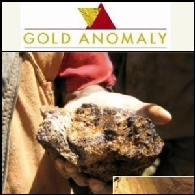 Gold Anomaly Limited (ASX:GOA) pleased to provide an announcement released by Kenai Resources Ltd (CVE:KAI) to the TSX-V which provide an update on the Sao Chico Gold Project. 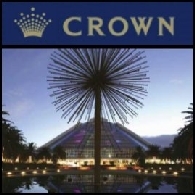 CHINA MINING Congress & Expo 2011 will open in Tianjin on November 6-8, 2011. 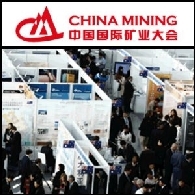 With the theme "Strengthen International Cooperation, Accelerate Geological Exploration & Mine Development", the Conference will widely publicize China&apos;s reform and opening policies related to the mining industry, and moreover offer discussions on topics including sustainable development of worldwide mining, global mineral product survey situation and analysis, mining and capital market, mine environment and mine parks, comprehensive utilization of mineral resources. Australian Market Report of January 11, 2011 includes: Eldorado Gold Corporation (ASX:EAU) (TSE:ELD) (NYSE:EGO) today announced its 2010 operating results and 2011 operating guidance; Wasabi Energy (ASX:WAS) acquired a geothermal power plant in Northern Iceland; Sierra Mining Limited (ASX:SRM) has entered into an agreement with Barrick Limited for explorations in Papua New Guinea; Lachlan Star Limited (ASX:LSA) announced the first JORC Resource estimate of 664,000 ounces of gold in Chile. 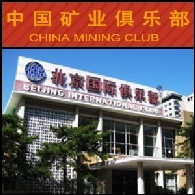 The newly founded China Mining Club will host its opening ceremony and its first mining investment saloon on January 7th 2011 in Beijing International Club St Regis Hotel. 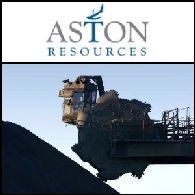 Australian Market Report of December 8, 2010 includes: Aston Resources Limited (ASX:AZT) and ITOCHU (TYO:8001) will establish the Maules Creek Coal Joint Venture; Eldorado Gold Corporation (ASX:EAU) reported White Mountain Exploration results in China; Golden Rim Resources Limited (ASX:GMR) reported strong gold mineralisation in Sweden; Uranex NL (ASX:UNX) announced a high grade primary uranium discovery in southern Tanzania. 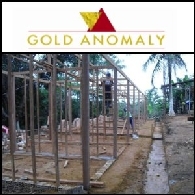 Gold Anomaly Limited (ASX:GOA) is pleased to announce further progress towards early gold production at its Sao Chico Gold Project in Brazil. As previously announced, Kenai Resources Ltd (CVE:KAI) has signed an option agreement with GOA to acquire an initial 50% in the project with further options to progress in stages to 75% and 100%. Kenai are currently seeking TSX-V approval before proceeding with the agreement. 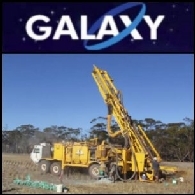 Galaxy Resources Limited (ASX:GXY) (PINK:GALXF) is pleased to release quarterly report for the period ended 30 June 2010. 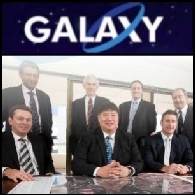 Emerging lithium producer, Galaxy Resources Limited (ASX:GXY) (PINK:GALXF), is pleased to announce the appointment of Mr Ivo Polovineo as an Independent Non Executive Director effective immediately. 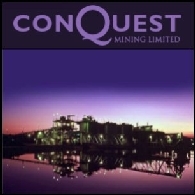 Conquest Mining Limited (ASX:CQT) (PINK:CQMLF) announces it intends to make an off-market takeover offer (the "Offer") for all of the shares in North Queensland Metals Limited (ASX:NQM). 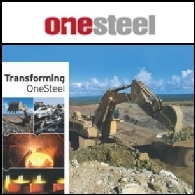 Under the terms of the Offer, Conquest will offer NQM shareholders 0.5 of a Conquest share plus 10 cents cash for every NQM share held, which values NQM at approximately A$58 million or A$0.29 per share. The Australian shares opened higher on Thursday after the better-than-expected economic data in the euro zone inspired the US and Europe markets. Asian stocks in early trade were broadly up on the good offshore leads. Australia&apos;s S&P/ASX200 index climbed over 0.9 per cent at opening. The Australian shares went into a panic selling at opening after the freefall in Wall Street overnight. The benchmark S&P/ASX200 index fell nearly 2.9 per cent in early trade. With the sharp falls, the market so far has lost more than 7.5 per cent for the week, its worst performance in more than 18 months. 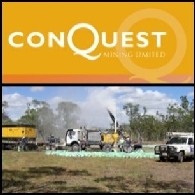 Conquest Mining Limited (ASX:CQT) (PINK:CQMLF) is pleased to announce that the Company has received encouraging metallurgical results from recent flotation testwork at its Silver Hill project in northern Queensland. 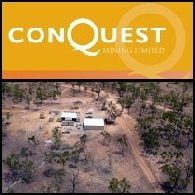 The Board of Conquest Mining Limited (ASX:CQT) (PINK:CQMLF) is pleased to announce that Mr Jake Klein has accepted the position of Executive Chairman of the Company. Mr Nicholas Curtis and Mr James (Jim) Askew will also be appointed to the Board as Non Executive Directors. 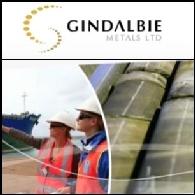 The appointments are subject to shareholder approval and will take effect on the date of an Extraordinary General Meeting (EGM) to be called as soon as practicable. 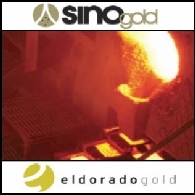 Canada&apos;s Eldorado Gold (TSE:ELD) plans to make a scrip takeover bid of Australia based Sino Gold (HKG:1862)(ASX:SGX), offering 0.55 of its shares for each Sino Gold share, valuing China-focused gold miner at A$2.2 billion. US stocks closed nearly unchanged Wednesday despite a stronger than expected increase of new home sales and a jump in durable goods orders. The market responded to the positive data with a shrug, as investors remained cautious and took their profits after rallies.